Dr. Eddy Diaz goes over the marketing calendar that will allow you to have high impact in your community and covers a number of topics and activities that are relevant to building your new patient practice through caring, loving and serving your community. You will learn the power of building a practice primarily through service to your community. Dr. Eddy Diaz is a recognized leader in the Chiropractic profession, having inspired thousands of people with the philosophy of Chiropractic and its timeless principles. 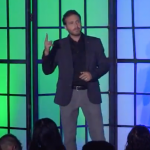 He is an inspiring speaker on self growth, Chiropractic philosophy and practice management. As a keynote speaker and teacher, he possesses a special talent for teaching and training while creating a learning process that is fun and engaging.